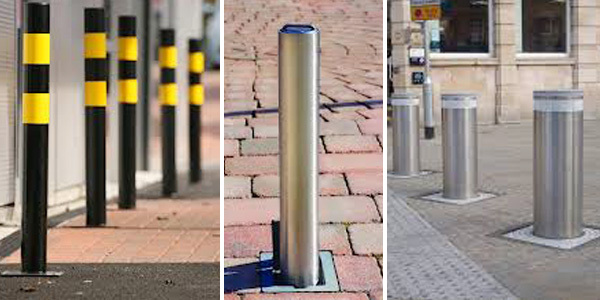 Parking bollards provide maximum protection to your shutters, shop fronts and doorways from attempted ram raids, and are an excellent visual safety device in public areas such as pedestrian-friendly roads, schools and leisure facility areas. Available in a choice of sizes, styles, colours and finishes, they can be adapted to suit your site or property decor. Call today for a free site survey to discuss your parking bollard options.